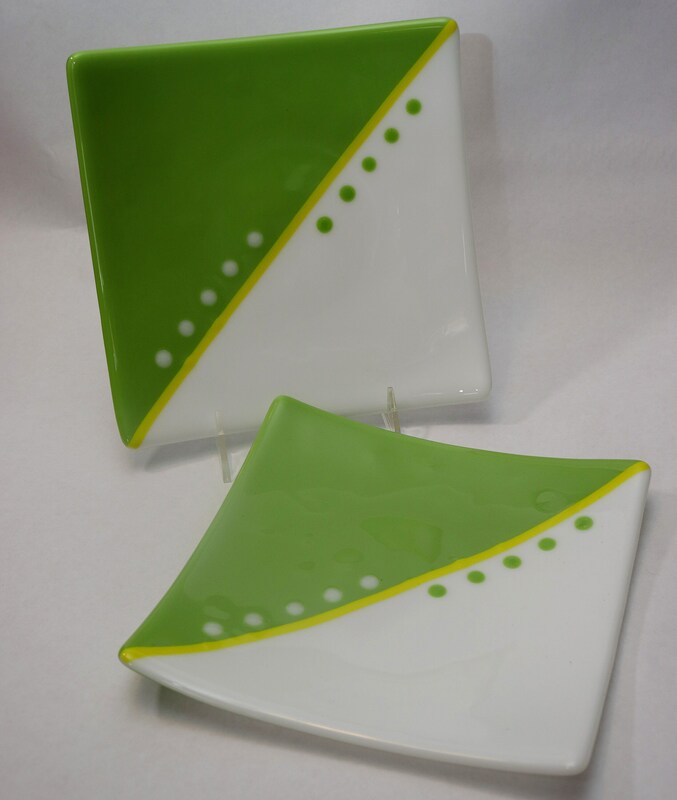 Fun funky and stylish, these amazon green and white fused glass plates are beautiful and versatile. 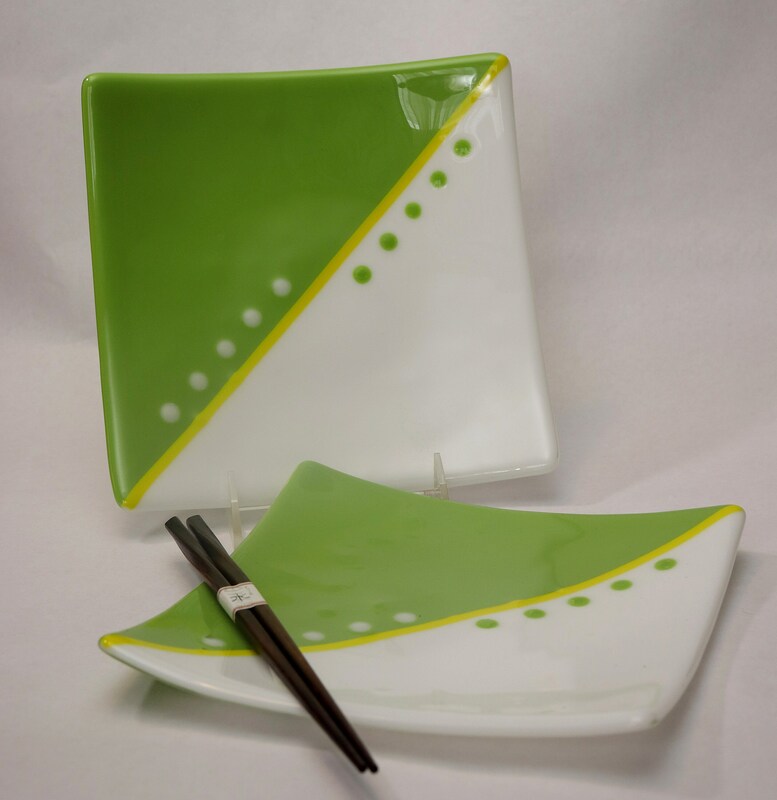 Handcrafted from the finest art glass, the square design make them perfect for desserts, salads, sandwiches, hors d’oeurvers or for snacks in front of the television. These delightful handcrafted plates will quickly become a family favorite.